I love gardening and enjoying my garden in the summer, but to get it just right it takes time and preparation. I like to get out in the garden on a regular basis to just keep on top of some of those little jobs and to start the plans for the coming season. It is nice to dream in the winter months of all the things that you would love to do, but in reality when you start these jobs sometimes they are bigger than you could ever imagine. With the weather warming up there are things that you can do to make the process that much easier and to start getting ready for those summer months, where you can enjoy some much-needed warmth and summer sun. I am not one to spend money very easily; I like to plan carefully what I need and how I am going to do the task, too. This is just one reason why I have a gardening budget all year. 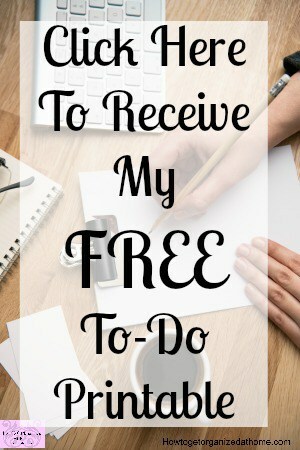 It means that in the spring when I want to tackle a bigger project I have the funds already in place, making the transition from ideas into actually moving forward and putting together my ideas to create my intentions, or at least as near as my budget can go! I am not one for slugs, I dislike them immensely, they destroy my hard work and for this reason instead of baiting and killing them with chemicals, I like to go out after dark with a torch, spade and a bucket with a lid to collect them up. My chickens love the slugs that I find for them, a special treat for the morning when they wake up. This is a great time of the year to get that fencing fixed, anything that’s been damaged or broken by the winter weather and needs fixing and repairing, or if you are considering changing or replacing fencing, now is a great time to do this. Taking care of your fencing before plants get into the summer growth is a great idea. It is a great time to start planning your summer plants, if you need to grow any from seed or if you are going to buy the plugs, knowing what you want can save a lot of time. Preparation for the summer begins now, with washing out your pots and tidying up your shed, getting your garden ready for when the hard work starts. You can also begin to think about your grass quality; are there any areas that you need to improve? I have a load of Foxgloves coming up in my lawn this year, so I need to get these dug up and moved. I prefer grass seed to turf, so when I have lifted the Foxgloves I will prepare the ground and put down some seed. Don’t forget to clean and sharpen your tools, this make the jobs they need to do so much easier if they are sharp and fit for purpose. It is even a good idea to check over your lawn mower to make sure that it is in perfect working order, no damaged cable or broken parts. 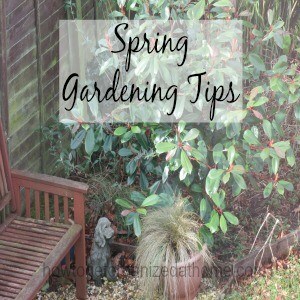 There are loads of things that you can do this spring to get your garden ready for the summer this year. Gardening is a great way to exercise and it can bring a lot of fun and enjoyment into your life. one of my favorite things about spring is getting the garden ready!! thanks so much for taking the time to link up to Totally Terrific Tuesday and adding the party on your post!! I greatly appreciate it! !